Donaldson, the AL's MVP in 2015, is batting .239 with three home runs and nine RBIs in 12 games. He's been dealing with the injury since the beginning of the season and will work out in Florida. 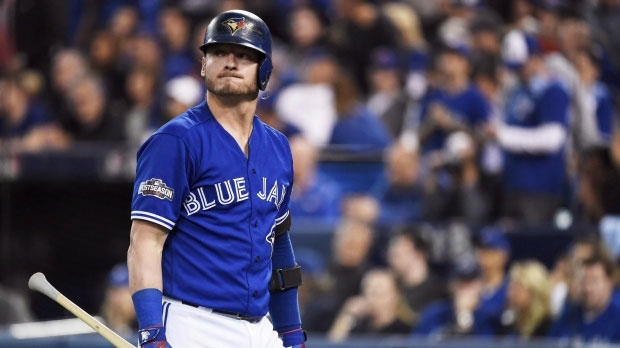 Donaldson was a centerpiece of Toronto's powerhouse offence that made the playoffs in 2015 and 2016. He led the league with 41 home runs and 123 RBIs while winning the MVP. Donaldson hit 37 homers with 99 RBIs the following season. He is 32, is making $23 million, and can be a free agent after the season. He's been selected to the All-Star team three times. Outfielder Teoscar Hernandez has been called up from Triple-A Buffalo and started in right field Friday. He batted .261 with eight homers and 20 RBIs in 26 games with the Blue Jays last season.